In the previous post we enlisted some of the EvaPhone benefits. In our previous posts we talked a lot about our numerous free services. Now it is time to discuss the EvaPhone fee-paying services, which are also important for our users, as well as about the methods of account replenishment and expenses monitoring procedures. Except unlimited and free video and audio calls in the EvaPhone system as well as two free calls a day on any telephone number in any place of the world, the user can communicate with any cities and countries of the world at a quite reasonable price. For example, the call to the fixed-line phone in Germany costs only 0.63 rubles per minute, including taxes. Besides, you can make calls on the typical home or work telephone number by means of IPT using your Internet browser without the necessity to install any additional software or devices. A call on a mobile phone number will cost approximately 6 rubles (to be more exact, 5.8447 rubles per minute at USD rate 30.7457). Just compare: a call from the fixed line phone in Saint-Petersburg on a telephone number in Germany by means of traditional telephone communications costs 7.65 rubles per minute, and a call on the mobile phone number – 15 rubles per minute. 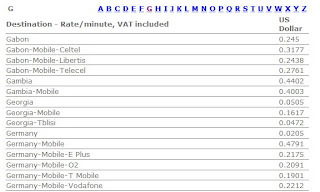 You can look the corresponding price per minute in the special table. By the way, the suggested directions are so numerous that you can easily call even, for example, in Burkina Faso. The procedure of the account replenishment is very simple. You can do it by several common methods: using your credit/debit card, bank transfer, Moneybookers system (web-purse) or voucher. Whichever method of the account replenishment you would choose, first of all you will have to indicate your direction (i.e. the country where your telephone number is registered) and enter the corresponding phone number as your contact information. Make sure to indicate your real telephone number as it will be used for your account authorization. Click "3" during the system callback and then follow further guidelines. EvaPhone gives bonus to all new users: 10 per cent of the amount you place to your account for the first time you will get additionally on your account as a bonus, which you may spend calling your friends and relatives. In the section “Payment History” you can check when and how much money you placed to your account at the EvaPhone service. And in the section “Call History” you can check how much money you spent making this or that call. The additional service for those who wants to be always connected is a voicemail Click2Call button which you can install at your blog, forum, or your personal page on social media. 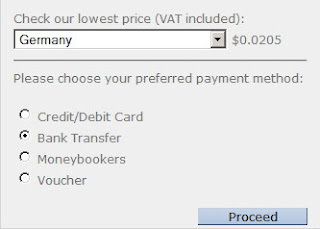 The button itself, its installation and the voicemail service are free, but still it is available only when the balance of your account is positive: at that, the amount of money on your account is of no importance, and nothing will be charged off your account in case you use only voicemail. You will have to pay only for the call diverting. If you have any questions concerning the methods of payment for EvaPhone services, you can conveniently ask them in comments. I will gladly answer you! Where is the good of registering? Я работаю в компании Evaphone с момента ее основания. За это время у нас образовался дружный коллектив специалистов, вне которого я просто себя не мыслю. Это наш корпоративный блог, но вести его буду я от своего лица, поэтому этот блог в том числе и обо мне. Остальное узнаете из записей.